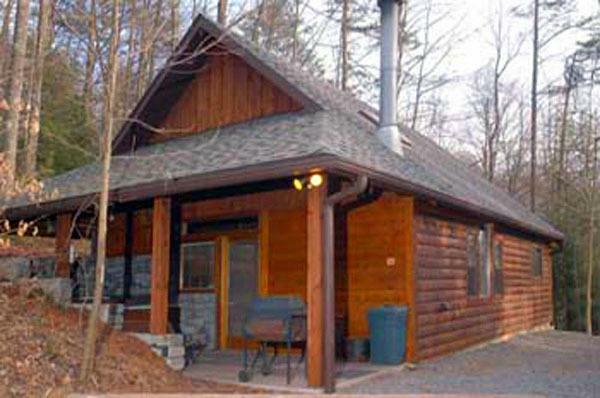 Our 3 bedroom, 1 full bath vacation retreat is less than 2 miles from the famous New River Gorge Bridge. 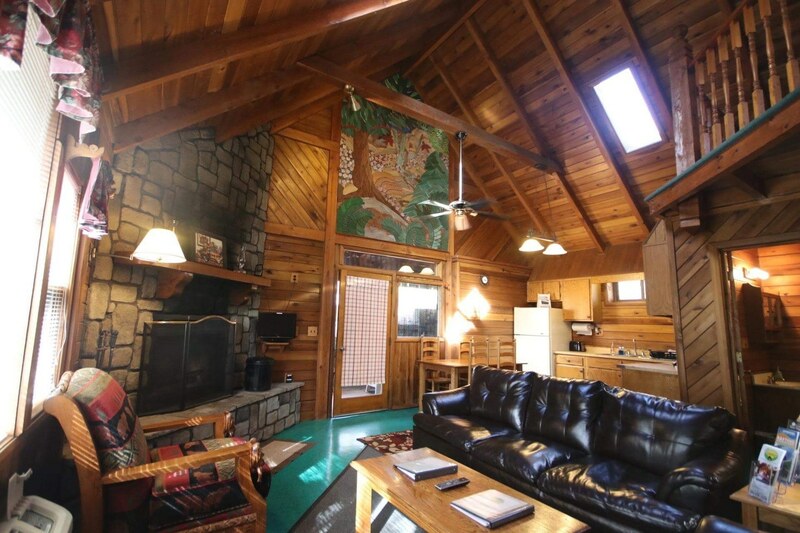 Come and get away from it all at this private, quiet cabin. 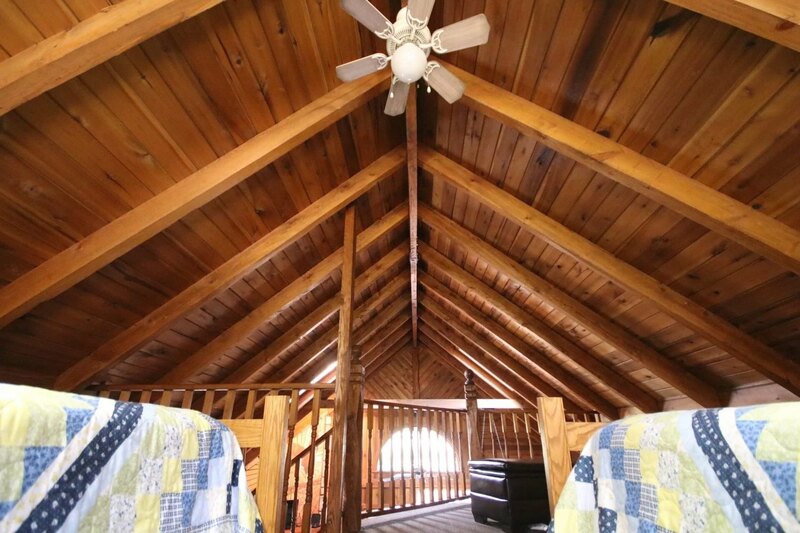 This luxury cabin features queen size beds in both first floor bedrooms and 2 queen beds in the loft. The kitchen comes fully equipped. Most of the furnishings are handmade from oak. 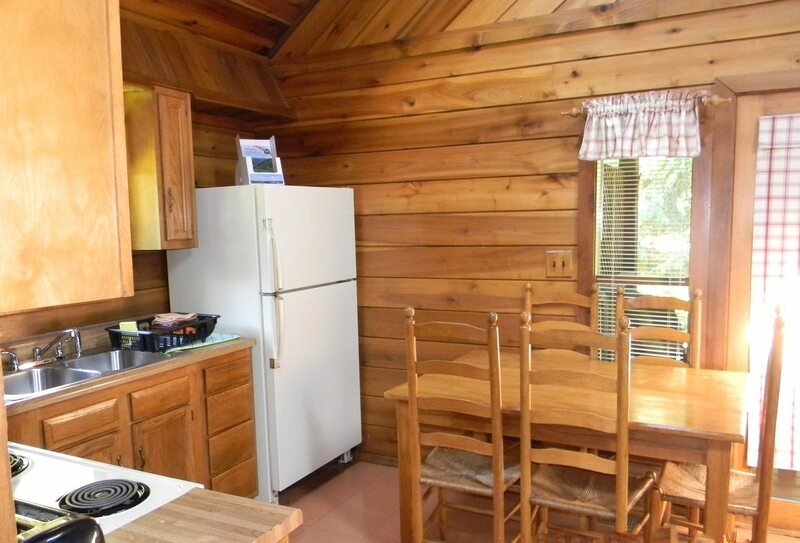 Cabin includes heating and air along with ceiling fans. 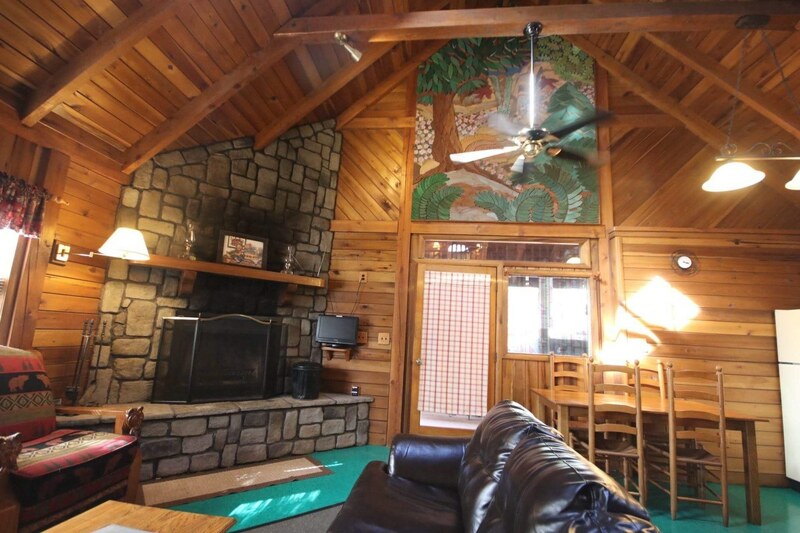 Make use of our huge stone fireplace. All towels, linens and and initial supply of paper products are furnished. The Gathering Place is ideally situated close to numerous outdoor activity areas. Whitewater rafting & kayaking, boarding, zip lining, rock climbing, plus many many other outdoor adventures to take advantage of. Discounts can be arranged at one of the areas top Outdoor Adventure Companies. 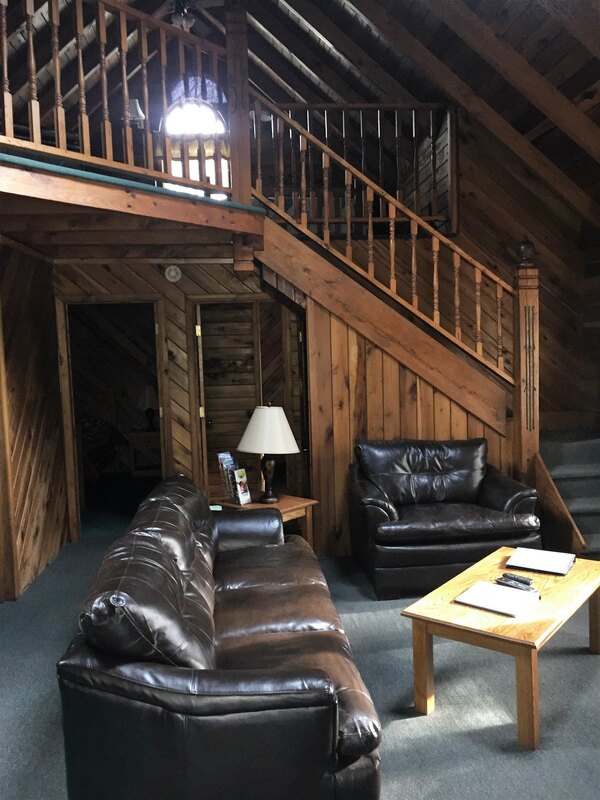 Come visit with us…you may never want to leave! Weekday & weekend rates are based on 2 guests. $30 charge for each additional guest, per night, up to a maximum of eight guests. EXTRA GUEST FEES DO NOT APPLY TO BRIDGE DAY WEEKEND SPECIAL RATES. (See above for Bridge Day Weekend special rates). 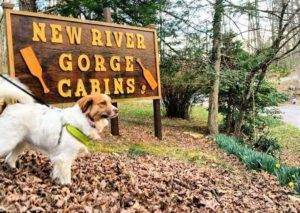 The one-time pet cleaning fee is $25 for the pet friendly cabins. A valid credit card is required for security & damage deposit. The minimum age for renters is 21 years old. NRGC RESERVES THE RIGHT TO ENFORCE MINIMUM STAY POLICIES FROM 2-5 NIGHTS DURING PEAK DEMAND.